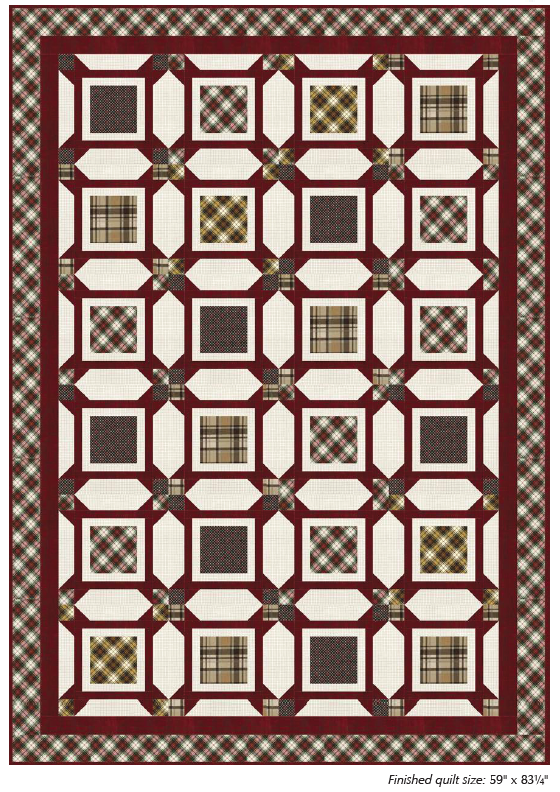 Free pattern for Hunter's Den flannel quilt, featuring Tailor Made Flannels by Timeless Treasures. Designed by Denise Russell. Finished quilt size: 59" x 83¼"